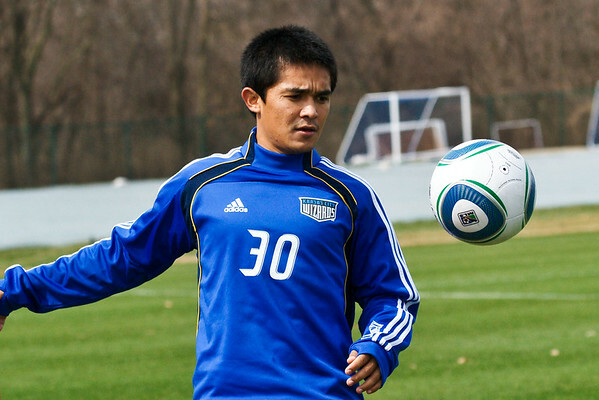 Sunil Chhetri was at the Kansas City Wizards practice this morning. 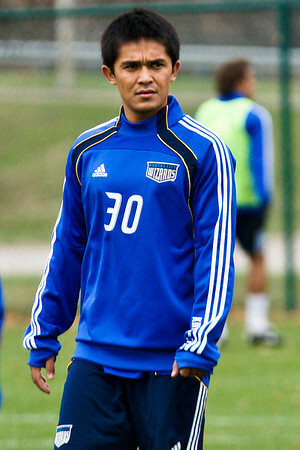 It is my understanding that Chhetri and the Wizards have agreed to terms pending medical and P1 Visa approvals. I think it may be announced tonight via teleconference in his homeland. I will try to interview him at tomorrow's practice. did he look like he has 15 goals in him? He is the Fox in the box type of player which will be very useful for KC Wizards against tight defence defending very back and very hard to break through. He is also very crafty and create chances for fellow team mates. he is the best...n he wil prove his metal whenevr he is given a chance..